In celebration of Star Wars Day, the latest trailer for LEGO Star Wars: The Force Awakens reveals six new adventures that will be featured in the game. Recently announced levels in the title including “Rathtar Hunting,” which has Han Solo and Chewbacca attempting to capture the dangerous Rathtars and a Poe Dameron mission to save Admiral Ackbar (“Poe to the Rescue”). The creative team behind LEGO Star Wars: The Force Awakens also didn’t hold back when it came to assembling the voice cast for the game, as Adam Driver (“Kylo Ren), Anthony Daniels (C-3PO), Carrie Fisher (“Leia Organa), Daisy Ridley (Rey), Dohmnall Gleeson (“General Hux”), Oscar Isaac (“Poe Dameron”) and John Boyega (“Finn”) are just a few of the Star Wars vets who are partaking in the title. 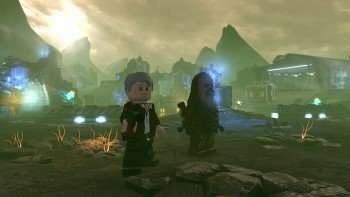 LEGO Star Wars: The Force Awakens comes out June 28 for PlayStation 4 and PlayStation 3, Xbox One and Xbox 360, PlayStation 3, Nintendo 3DS, and Steam (Windows PC) via Warner Bros. Interactive Entertainment. Check out the trailer below, tell us what you think, and most importantly, May the 4th be with you! !